Recent blog posts Visit Lucerne in winter - what can you expect? Visit Lucerne in winter – what can you expect? Lucerne is one of the most famous and (in my opinion) beautiful cities in Switzerland. I grew up nearby Lucerne and studied there – you can almost call it my home. During the last years, I started to love Lucerne, as it has a lot to offer. While most tourists visit Lucerne during the summer season, I think that Lucerne in Winter is something completely different – and also worth a visit. 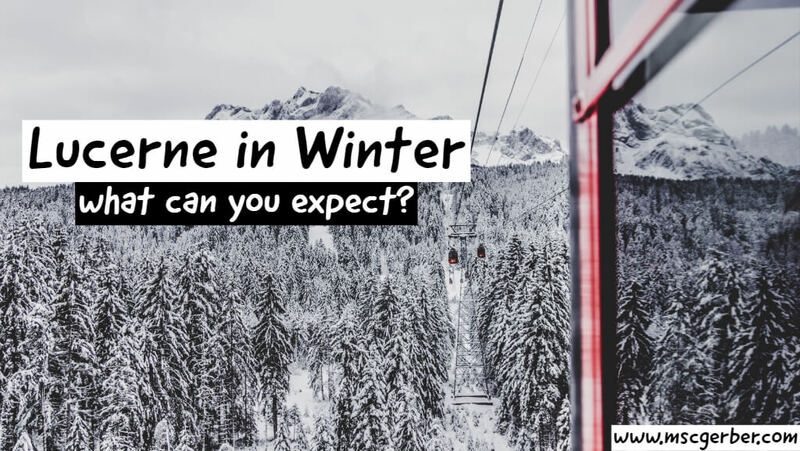 Today, I will tell you what you can expect when visiting Lucerne in Winter, including some great tips and insights from a local. 5 6 Local Tips for Lucerne! The obvious reason to enjoy Lucerne in Winter is that there are simply fewer tourists. No matter if you visit the old town of Lucerne or one of the many beautiful mountain areas: There will be fewer people. This is especially amazing to save time and have a relaxing holiday. For families, winter is the best time to visit Lucerne in my opinion. 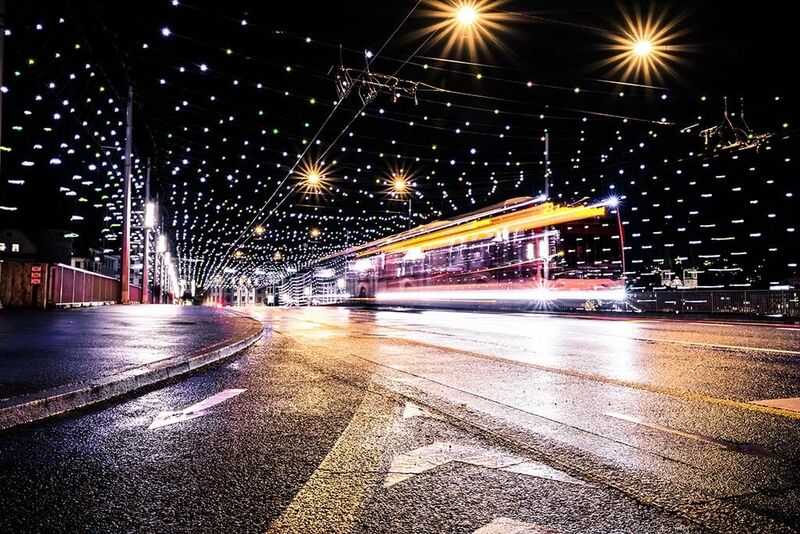 Sure it depends on when exactly you decide to visit Lucerne in winter, but there will be a chance that you can experience this lovely little city with an additional touch of magic: During Christmas time. In December and early January, there will be Christmas lights all over the old town. The small bridges next to the Chapel Bridge and also the bigger bridge for cars have their own lights that just look lovely once the night-time starts. And there is also great news for everybody that loves Christmas markets: Before and during Christmas there are several small markets where you can enjoy mulled wine and other typical Christmas treats. Christmas time in Lucerne is a feast for your eyes and your taste. Admittedly it is a lot of fun to hike in the Swiss Alps or enjoy a cold lake during Summer. But do you know what is even more fun? Spending a day in the snow-covered Alps with incredible views and many possibilities to have fun. In Lucerne, you have the perfect starting point for all of this fun. With quick connections to several mountain areas and ski resorts, there are endless possibilities for you. Whilst my “Switzerland trip” I went to the two most famous places to visit from Lucerne: The Pilatus and Rigi. They are both included in the Swiss Travel Pass if you’re traveling by train – so a perfect addition to your itinerary in Lucerne. Whether you want to enjoy the beautiful nature, try out skiing, hike with snowshoes or enjoy a traditional Swiss cheese fondue on top of a mountain: You can have all of this when you visit Lucerne in winter. Views that you can find everywhere in Winter! While it is usually not super cold in Lucerne itself (it can be though!) it is much colder on the mountains and also nearby the lake. Therefore, you must bring proper clothing, especially when you plan to do some real winter activities, such as sledding or skiing. Whenever someone visits Lucerne this should, in my opinion, be the first stop on an exploration of the city. With its population of 80’000 (2015) Lucerne is not a huge city at all, however, it has a lovely old town that you have to see. The buildings inside the “Altstadt” (old town) are extremely colorful and have their own charm. As it is not too big and complicated I recommend walking around without a real plan. Located between the river Reuss and the Museggwall you always have some points to get an orientation. 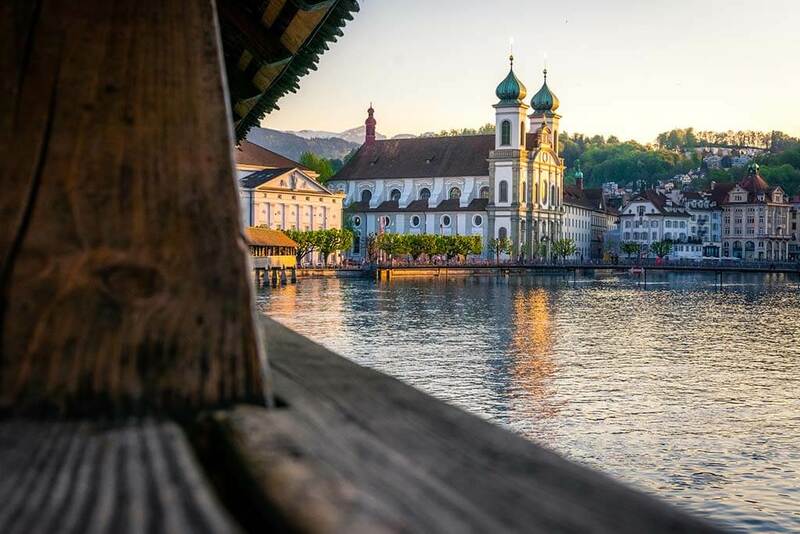 If you want to reach the old town from the train station you can even add the most famous sight of Lucerne to your short walking tour: the Chapel Bridge. It is the oldest wooden covered bridge in Europe and attracts thousands of visitors every year. You can basically cross the bridge and will find your self in the heart of Lucerne. Nearby there is also the Lion Monument which commemorates the massacred Swiss Guards during the French Revolution. And now we’re coming to the point: In my opinion, the old town is even more beautiful when you visit Lucerne in winter. Why? because you have the chance to see the Chapel Bridge and the old town with snow-covered roofs, which is simply priceless. If you want to enjoy an incredible view of the whole city and the lake you can go up to the “Chateau Gütsch” from where you have one of the best views over the city. If you are interested in the history of the city and some more insights I recommend taking a guided tour. The most famous mountain around Lucerne is Mount Pilatus – which looks absolutely beautiful from far away and is even more impressive if you get up there. For Mount Pilatus, there is an opportunity to combine the trip to the top with a boat ride – which is a great option for visitors in my opinion. You can book it online. In my opinion, Pilatus is one of the things you must do when staying in Lucerne! 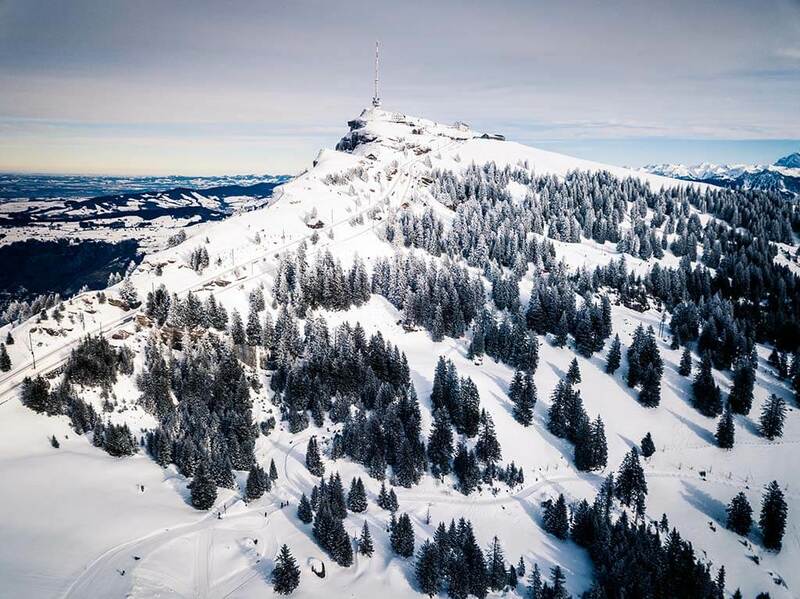 Another (and cheaper) option is Mount Rigi, which is also located pretty near Lucerne and is reachable easily by train. Mount Rigi is less high but also offers incredible views over the Swiss Alps. If you decide to go there, I would recommend trying out one of the many activities that they offer, such as a snowshoe tour or sledding. If you stay in Lucerne more than one day, I recommend going to Mount Rigi. To get there you can also book your ticket online. 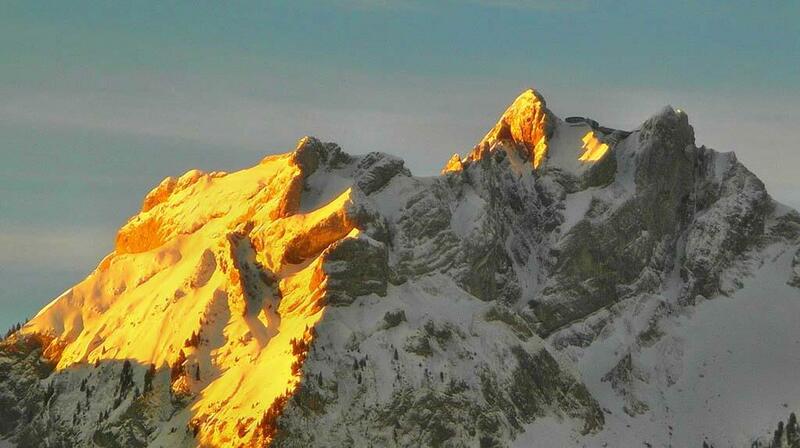 The third famous mountain that is easy to reach is Mount Titlis, where you can find snow all year round. Therefore you can expect fewer tourists during winter time, however, it is usually quite packed. If you stay in Lucerne for some days it might be a good addition, I would prefer Pilatus and Titlis though. You can book your ticket right here. The museum of transportation in Lucerne is the most famous, and probably the best museum in Lucerne. If you are interested in transportation, history or simply have a day with bad weather – this place is perfect to spend some hours, especially with kids. During the winter months, Swiss people like to eat Fondue or Raclette, which are traditional Swiss cheese dishes. After a long day in the snow or in the mountains, it’s perfect to end your day. You can enjoy it in almost every mountain restaurant, touristic regions and also normal restaurants in the city center. Just ask your hotel reception for recommendations! For my trip through Switzerland, I stayed in a hotel in Lucerne for the first time. And of course, I compared the prices of the different places I wanted to visit, just like I do it to it on my regular trips. I realized that there is some quite affordable accommodation in Lucerne during winter, especially when you compare it to other famous areas like Interlaken, Zermatt or St.Moritz. 5* Hotel Schweizerhof: This hotel stands for quality and has everything you could think of – including a location directly next to the lake. If you want to enjoy a luxurious trip to Switzerland, you can’t skip this hotel. 4* Continentalpark: The hotel I stayed at for some nights – and it had everything we were looking for: Comfort, great breakfast and fantastic service. The best thing about the hotel is its location though – just a short walk from the train station and old town – if you plan to stay in Lucerne I highly recommend this place. 4* Chateau Gütsch: The Chateau Gütsch is probably the most famous hotel in Lucerne – and has a perfect location if you want to have an excellent view over the city, lake, and mountains, as it is located on a small hill. If you don’t stay there, I still recommend having a coffee there to enjoy the view. 3* Hotel Anker: 3-star hotel located directly in the old town of Lucerne, which is not too far from the train station (walking distance). Great price-value and modern rooms. Keyforge City Apartments: Budget apartments in the city center – perfect if you are traveling on a budget but don’t want to stay in a shared hostel room. If you have any questions about Lucerne or even plan a trip to my favorite city in Switzerland don’t hesitate to send me a message or leave a comment. Want more Lucerne Travel Tips? Subscribe to my newsletter to receive 6 amazing travel tips for Lucerne, to experience Lucerne a bit more like a local! 6 Local Tips for Lucerne! Have lunch/dinner in the Tibits restaurant (vegetarian buffet), which is one of my favorite restaurants in town. To find public transportation schedules and book your tickets simply use the SBB website or mobile app (SBB Mobile). Enjoy an amazing spa in Rigi Kaltbad, a place locals love. For cheap food, head to the two supermarkets “Migros” or “Coop” or their restaurants. It’s where locals buy their food. Try Swiss chocolate, I recommend “Läderach”, which you can find inside the train station.